A real classic from the ARCHICAD Tutorial archives! Learn key principles and methods for creating your 3D model cleanly in ArchiCAD with a sufficient level of detail that you will not have to draw much in 2D to create beautiful and accurate sections and elevations. 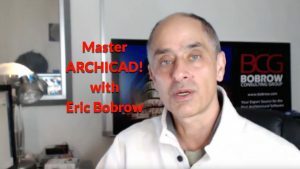 Sign up for my ARCHICAD USER email list and get a free ARCHICAD Design | Views Resource Pack with over 100 elements providing more options for modeling and visualizing your projects.